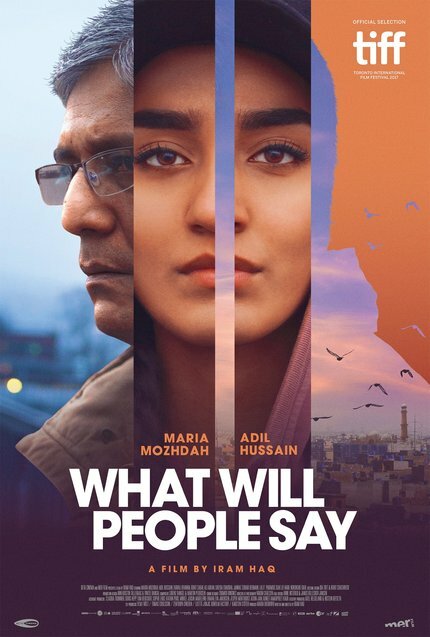 Director Iram Haq's What Will People Say is a powerful experience that has the potential to ruffle feathers on each side of the argument regarding the responsibilities of immigrants to assimilate into their adopted cultures. An Norwegian-Pakistani woman, here Haq tells the story of a Pakistani family living in Norway, the elders holding on tightly to their Muslim identities and the baggage that comes along with it, while the young ones who've been raised in the more liberal Norwegian culture struggle to balance the expectations of their parents with the world they navigate from day-to-day. In the center of the hubbub is teenage Nisha, played with remarkable aplomb by Maria Mozhdah, a high school girl who is on the verge of leaving her family home to go to school when a fumbling semi-innocent tryst with a boy she likes sends her traditional Muslim family into histrionics. Her father Mirza, portrayed here with fierce intensity by Adil Hussain, is beyond mortified at his daughter's perceived transgressions against their family's honor and in an effort to save face sends his daughter back to Pakistan to live with his parents and their extended family. The hope is that when Nisha returns to Pakistan, a land that is all but completely foreign to her apart from the language, she'll be forced to reset her westernized mindset and become the subservient good daughter and wife Mirza had hoped for. However, there's a fire in her loins to live for herself and to find happiness on her own terms that doesn't square with the life her family sees for her and before long she's trying to escape from what she sees as a prison of tradition. It would be very easy to view this as anti-Muslim propaganda, but the film does reach a bit deeper than all that. Iram Haq has said that she based elements of the story on her own experience, and understandably that places the lion's share of the empathy on the character of young Nisha at the expense of more detailed characterization for the rest of the family members, but there is some nuance to the performances that make up for what the script lacks. Maria Mozhdah carries the film confidently on her very capable shoulders, providing a central performance to which the audience can attach themselves. In real life Mozhdah was born in Pakistan and migrated to Norway with her family, meaning that these experiences and her depiction of them carry a stronger ring of truth than many might expect. Supporting that with a powerful, tortured performance from Adil Hussain, whose Mirza is clearly capable of terrible acts and blatant disregard for his daughter's happiness, but also remains conflicted about his complicity in them, even if he never quite musters the gumption to put her safety before his own pride. It's clear which side of the assimilation versus cultural cloistering controversy What Will People Say exists on, it's not subtle in that regard. The film is no kind to the culture of corruption in Pakistan, though, and spares no authority figure is showing how rampantly crooked the power structure is from top to bottom. However, the film does show us how the other half lives and how not all of the cultural specificities of those we might think of as our enemies are inherently villainous. Above all, What Will People Say is incredibly solid film making from top to bottom. Great acting performance supported by good writing. Excellent cinematography and production design emphasize the not-so-subtle differences between life in cold of Norway and the colorful warmth of Pakistan. What Will People Say is about as delicate in delivering its message as a sledgehammer, but it gets the job done, and I really enjoyed it.